Industrial Training Program For Life Science Students. 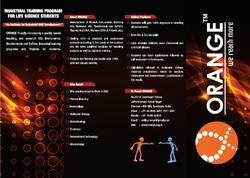 Orange proudly introducing a quality and skill based Industrial training program and projects for students. • Students will gain 100% exposure in handling all instruments. • Both wet and dry lab skills development. • Each module includes basic theoretical and practical classes. • Students can learn application followed by self evaluation of techniques. • Calculations relevant to molecular biology, chemical preparation, hands on practice, observation, interpretation and justification of the results. 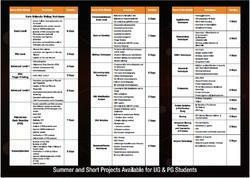 Looking for Summer training & Projects ?